This is an online version of Mary Lynch Johnson's (1897-1984) PhD Dissertation A Modern English - Old English Dictionary. It was written in 1917 and first published in 1927. 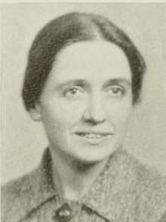 Johnson based much of her work on John R. Clark Hall's A Concise Anglo-Saxon Dictionary for the Use of Students (1916). She worked as a professor of English at Meredith College, Raleigh, North Carolina. An electronic version was compiled in 2004 by the Old English Made Easy homepage. Some navigation links between words with different spellings were added as well as notes and highlightings of uncertain forms. In 2013, the Old English Made Easy site closed down. A new version of the dictionary was subsequently made available on www.Old-Engli.sh. Welcome to the Old-Engli.sh Dictionary Page! It provides a free, comprehensive, accurate and easily searchable Old English to Modern English dictionary. It is ideally suited to translate Anglo-Saxon texts for beginners and advanced learners alike. Find more Old English dictionaries and glossaries available online in the Old-Engli.sh link section.